Very Good. 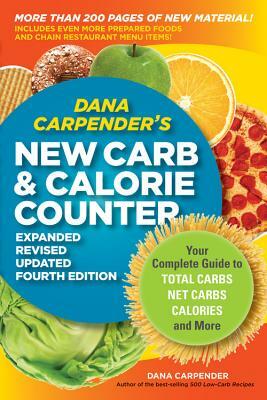 Dana Carpender's New Carb Counter: Your Complete Guide to Total Carbs, Net Carbs, Calories, and More by Carpender, Dana, 2009-12-01. Trade paperback (US). Glued binding. 351 p. Contains: Illustrations, black & white. New. 2009. Expanded, Revised, Updated. Paperback. Num Pages: 256 pages. BIC Classification: VFMD. Category: (G) General (US: Trade). Dimension: 154 x 104 x 28. Weight in Grams: 222......We ship daily from our Bookshop.